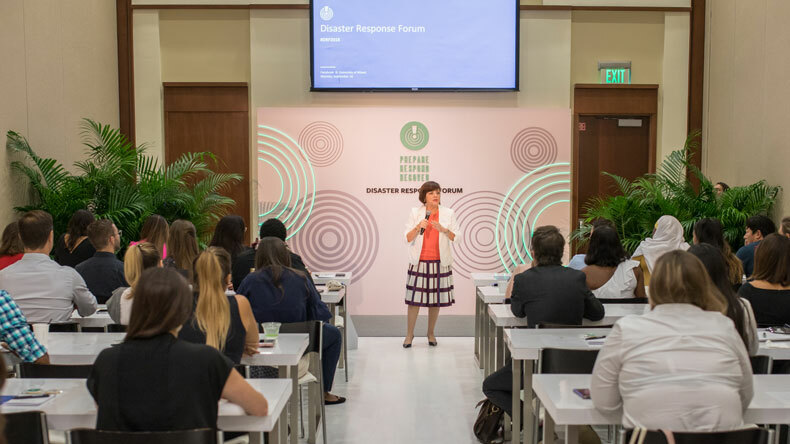 Facebook and the University of Miami hosted a forum that explored how technology can improve communication and responses to emergencies. A year after Hurricane Irma swept through South Florida and decimated much of the Florida Keys, local officials and social media platforms are still learning how communities can be better prepared for future natural disasters. The University of Miami and Facebook joined forces Monday to host a Disaster Response Forum at the UM’s Newman Alumni Center, bringing together local residents, nonprofit organizations, technology leaders, and industry experts to discuss the role that technology can play in building resilient communities following natural disasters. “We want to pull the community together to learn more and figure out how people are using technology in times of disaster. We also want to raise awareness on how our community comes together in times of need,” said Eric Porterfield, the consumer communications manager at Facebook. Social media is critical to hurricane preparedness, response, and recovery. 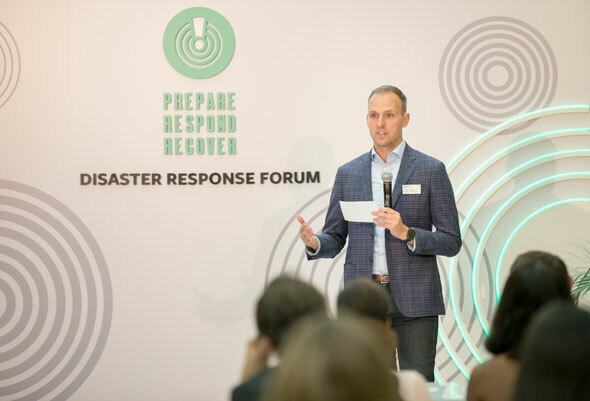 One of the best ways to prepare for hurricanes is to learn about how to use social media to connect and find support during a crisis, Porterfield said. Facebook’s crisis response allows people affected by a crisis to tell friends they are safe, find or offer help and receive their latest news and information. More than nine million people have used Facebook’s safety check feature to let friends and family know they’re safe following hurricanes. Hurricanes Harvey, Irma and Matthew were among the top 10 crises where people used safety check to mark themselves as safe. Although Facebook has proved successful in times of need, the company is still exploring different ways people can use their product and its various features. “It’s very challenging because we’re still trying to figure out what are people’s needs. The needs of an earthquake, hurricane, or fire are all different. We’re trying to understand how we can help people in different ways,” said Jeong-Suh Choi, Facebook’s product manager for crisis response. The American Red Cross is also using technology to help people when disaster strikes. The Red Cross’s Missing Maps Project is an open source, collaborative project in which people can help map areas where humanitarian organizations are trying to meet the needs of vulnerable populations. Volunteers have put millions of people from high-risk countries on the map since its launch in 2014. The organization uses satellite imagery to collect data before and after a disaster to build updated maps so responders on the ground know which communities are most in need. “The cool thing about these maps is that they’re being built by digital volunteers. When disaster strikes, many people ask what they could do. Now with technology we can say to get your computer, connect to the internet and help us map,” said Jenelle Eli, director of international communications at the Red Cross. One natural disaster that has forever shaped South Florida is Hurricane Andrew. The category 5 storm made landfall on August 24, 1992, devastating parts of South Miami-Dade County. 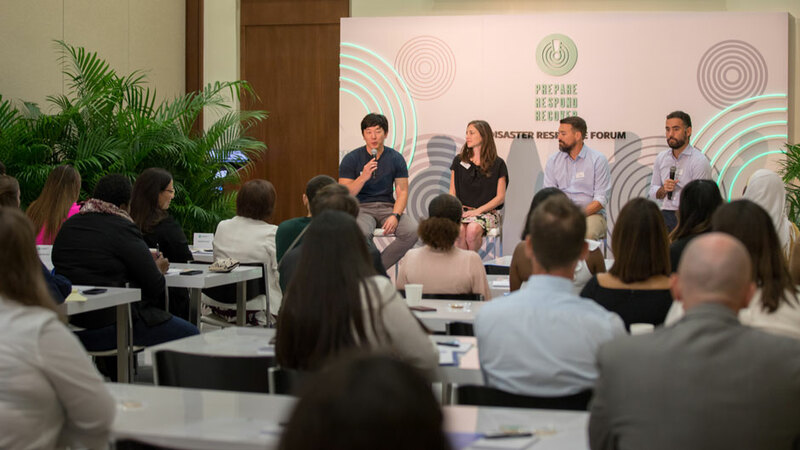 Sonia R. Chao, director for the Center for Urban and Community Design (CUCD) at the UM School of Architecture and a moderator at the forum, said many of the technologies in play today did not exist back in the early 1990s. Despite that gap, she said, CUCD was able to begin creating a framework for rebuilding that met the needs and aspirations of the community. “Our center was created after Hurricane Andrew, when we realized there was a real gap between the public and private sector. The public sector was in downtown Miami, and all of the destruction was in South Dade,” said Chao, research associate professor at the School of Architecture. During Andrew’s aftermath, the School of Architecture immediately began collaborating to try to figure out how to help communities rebuild. “Sharing information was nearly impossible at the time. We would go house to house to distribute flyers. Of course there was no Instagram page to let people know where to find aid,” she said. Today CUCD’s objective is to promote resilient design in the face of growing climate related hurdles. The center provides students with hands-on fieldwork experiences to research resilient design needs and alternatives, as well as to document best practices in sustainable community designs. 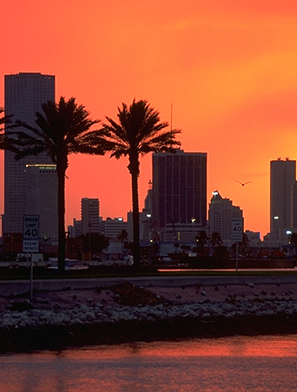 The students are involved in a National Science Foundation grant award project, Collaborative Research: A Human-Centered Computational Framework for Urban and Community Design of Resilient Coastal Cities, which involves collaboration with the offices of resilience for Miami-Dade, Miami Beach and City of Miami. “We as a university are trying to be a resource to those that need us within government agencies and provide them with data and ideas for them to implement later on,” said Chao. Menendez also noted the University’s research on the impacts of climate change, such as sea level rise, and its connection to the local community on exploring solutions to some of these pressing problems. “One of the things we are most proud of is the fact that the University of Miami has become the go-to university for international media when it comes to climate change,” Menendez said. 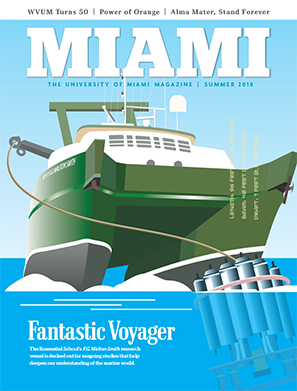 Browse the latest issue of Miami Magazine, the University of Miami official alumni magazine. 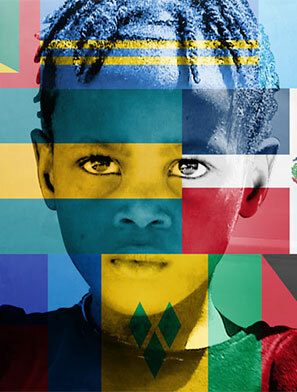 View the special report from UM News that showcases the research and study of the Caribbean Basin by UM faculty and students. The report features more than 40 articles on science and research and social engagement with polls, graphics and an opportunity to write your own haiku to the environment.